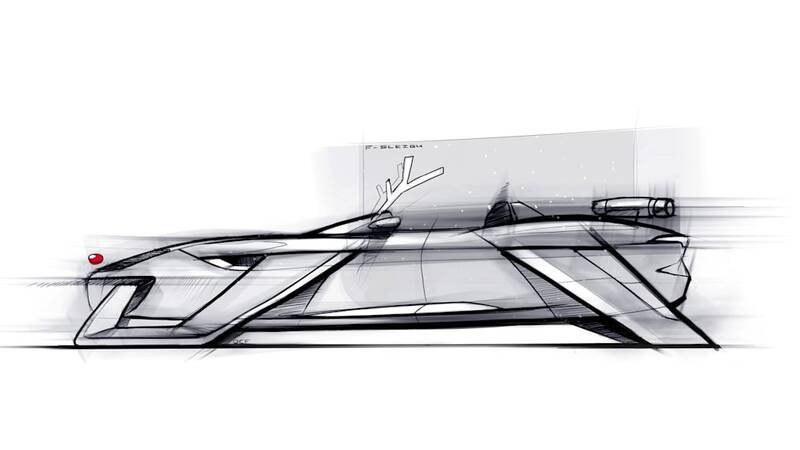 'Tis the season for automakers to demonstrate how they would design Santa's famous (if fictitious) sleigh. 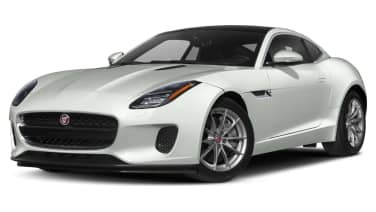 The F-Sleigh concept is based on the F-Type convertible, but this one has skids instead of wheels, a pair of jet engines in place of the supercharged V8, the requisite red nose (embossed with the Growler emblem), and of course plenty of room for gifts. This is the second time we've seen a modern Jaguar design incorporating small turbines, and takes the idea of a 550-horse open sleigh to new heights. 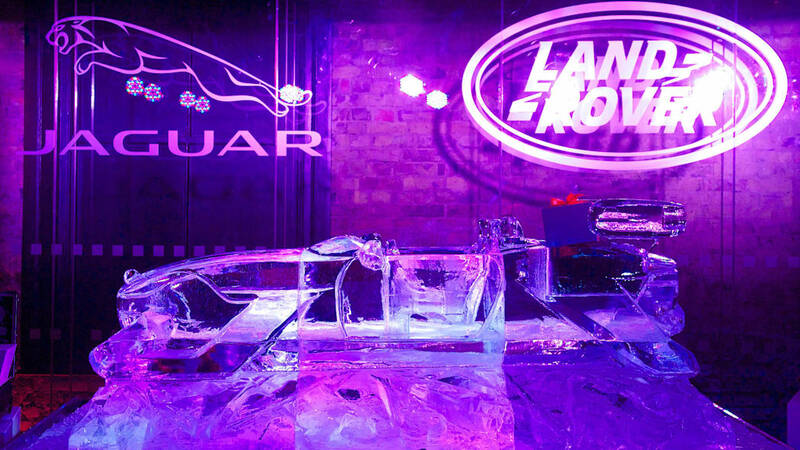 Jaguar rendered the design in an ice sculpture and is displaying it this holiday season at the London Edition hotel in the British capital. Joining the F-Sleigh on display are some of the more tempting items from the latest Jaguar and Land Rover merchandise collections, including a 1:8 scale model of a 1957 XKSS and a Defender pedal car. But it's the centerpiece that caught our attention, looking at least as cool as some of the designs we've seen from the likes of Ford, Honda, Lexus, Bentley, or even Jaguar Land Rover's previous concepts. Now if you'll excuse us, we have to rush down to the fireplace to replace the milk and cookies with a tanker full of jet fuel. 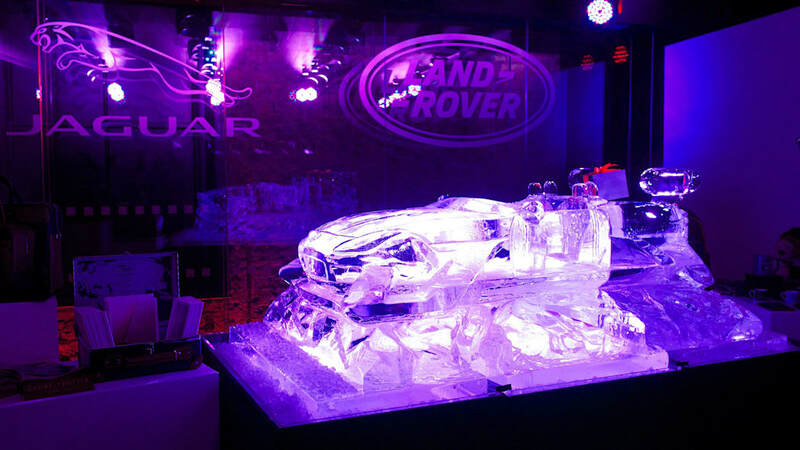 (The London Edition, London W1 - 14 December 2015): Jaguar and Land Rover showcased their latest collection of branded goods alongside licensed partners in central London today, to mark the launch of the brands' 2016 collections. 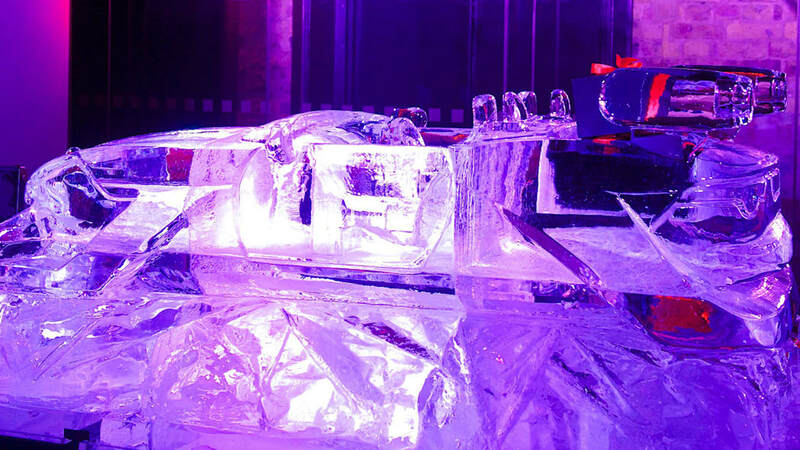 A special ice-sculpture of a Christmas-inspired Jaguar design was exclusively revealed at the London Edition hotel to celebrate the merchandise and luxury goods launch. 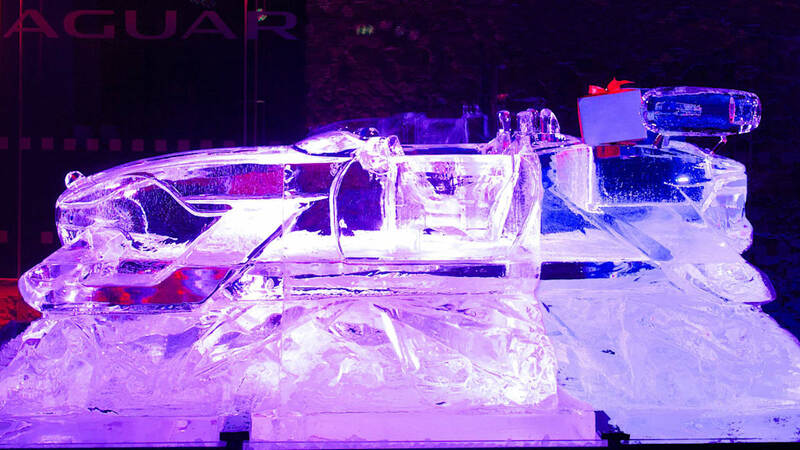 Codenamed 'F-SLEIGH', the Jaguar Christmas sleigh takes inspiration from the Jaguar F-TYPE convertible, but with skates in place of wheels, a generous open luggage compartment for gifts and jet power to generate Jaguar's renowned supercharged performance through the night sky. A Growler-embossed red nose completes the F-SLEIGH's Christmas theme. "The amazing F-SLEIGH may be a bit of Christmas fun, but it proves that Jaguar Land Rover is now creating much more than world-class cars. We have been working tirelessly to develop collections that tell stories and celebrate our great brands, and this 2016 collection is our most desirable ever - we've really pushed ahead for design, quality and originality and it's great to showcase it alongside the luxury goods being produced by our exclusive brand partners." Some of the products displayed by Jaguar and Land Rover brand partners included exclusive items from Art Fragrance, Barbour, Bremont, Globetrotter, Menrad, Oliver Sweeney, Landy Books and 2x2 Ltd. In addition, in-house products from Jaguar and Land Rover including limited edition (199 of each) meticulously hand-crafted 1:8 scale models of iconic Jaguar cars (displayed was a 1957 XKSS), a Defender Pedal Car concept, and heritage-inspired apparel and branded accessories were installed as part of the showcase.